Does the Koran contain historical errors? Jesus-Islam » The Koran » Does the Koran contain historical errors? The name of his father was Terah (Genesis 11:26) and not Azar as the Koran says (6: 74). His native city was not Mecca, but Ur in Chaldea (Genenes 11:31). The story of the Tawrat is confirmed by the extra-biblical tablets found at Ebla in Syria. The Bible relates that Mary was mother of Jesus She was, very likely, in her late teens or maybe early twenties 2000 yars ago at the birth of Jesus and that she was a descendent of Judah a son of Jacob. Yet the Koran says, in contradiction that she was a teenager and was the sister (or member of the tribe) of Aaron, and the daughter of Imran as well as the mother of Jesus (19:28). This would make the Mary whom the Koran says was mother of Jesus a person who lived 1,570 years before Jesus was born! It contradicts both the Injil and proven and known history. The Koran speaks of Haman (28: 6; 29:39; 40: 24,36) as a minister of state for Rameses II, Pharaoh of Egypt. 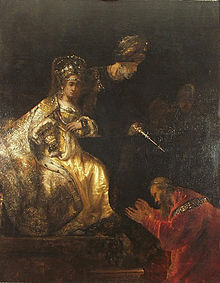 The book of Esther in the Bible mentions Haman as an officer of King Xerxes in Persia. We know, moreover that Haman is not an Egyptian but a Babylonian name. This is the evidence. What is your verdict? These are in conflict, not only with the Bible, but with undeniable facts of history. They are clear evidence that the Koran was not inspired by the God who spoke through Jesus in the Injil and who said, “The scripture cannot be broken.” God’s word cannot contradict itself. God’s word can never be contradicted by God’s world. They must agree. If not, one of them is wrong. Proven historical facts such as the date when Christ, and therefore Mary lived, are beyond dispute. The fact that Haman was a name unknown in the days of Rameses II, but is Babylonian dates Haman far later than the Koran. These are unmistakable errors of fact. They undermine and invalidate the claim that the Koran is the word of God.